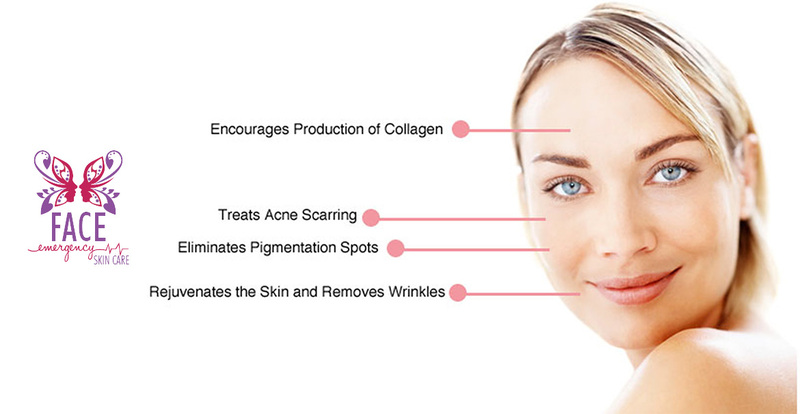 Micro-needling therapy, also known as skin needling, percutaneous collagen therapy or collagen induction therapy, is a skin rejuvenation technique that involves making tiny punctures in the skin in order to prompt the skin’s natural repair process. By using this state-of-the-art microscopic technology, micro-needling therapy boosts the production of collagen and elastin – two natural plumping agents that keep your skin looking and feeling younger. For those of you that are unfamiliar with the basics of micro-needling, here’s all you need to know. As your skin ages, the natural cell turnover begins to slow down which results in a loss of elasticity, moisture and volume. By creating small, controlled, micro punctures in the skin, your skin starts to cycling through three phases of regeneration; inflammation, proliferation and remodelling. These phases all work together in the treatment of scars and photo aging. Micro-needling therapy has proven extremely effective in the treatment of acne scars and has grown to include transdermal drug delivery, the treatment of periorbital melanosis and the reduction of fine lines, stretch marks and wrinkles. What instruments are used for micro-needling? There are a range of products out there that have been used for effective micro-needling therapy. From derma rollers to derma stamps and beauty pens, micro-needling techniques will vary according to the skincare specialist’s preference. At Face Emergency Skin Care, we prefer to use the iBeautypen as it allows for easy access to narrow areas such as the nose, mouth and around the eyes. The Beauty Pen also uses a vertical needling technology designed for a more efficient, less harmful treatment that relies on your body to do the hard work. In most cases, micro-needling therapy will be only be performed once a patient has received an application of topical anaesthetic cream. This cream is designed to make the patient comfortable during the procedure and is generally applied 45 minutes before the micro-needling begins. The next step is to identify and clean the area that needs to be treated; the specialist will then begin the micro-needling therapy using the appropriate needling speed and depth. Typically, patients are advised to wait for roughly 4-6 weeks before receiving their next treatment. It does not leave a line of demarcation between the treated and untreated areas, as is the case with most resurfacing procedures. Micro-needling is perhaps one of the most advanced and effective techniques available for skin rejuvenation. At Face Emergency Skin Care we offer micro-needling therapy that poses no risk of permanent scarring and allows for treatment delivery deep into the skin’s fibroblasts. We also educate our clients on proper at home care and diet – both of which are vital to keeping your skin looking tighter, brighter and healthier.